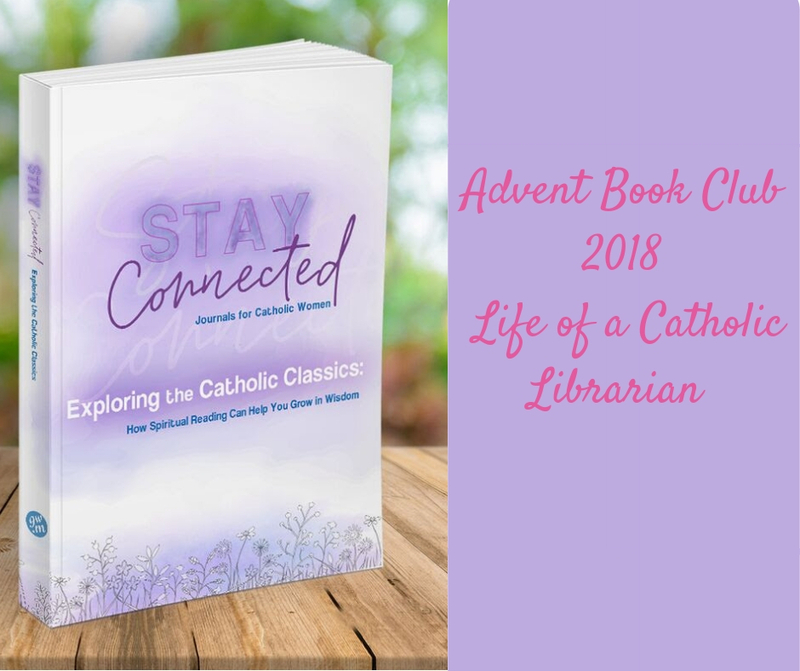 Welcome, welcome to the 2018 edition of the Advent Book Club here at humble little Life of a Catholic Librarian! This is becoming quite a lovely annual tradition. In the past, I've also resurrected the Tea Time podcast for Advent and Lent, but I have to come clean and admit that I don't see that happening right now. Just not enough time in this stage of my life to do both blog and podcast, and if I have to pick one, I'm stickin' with old faithful: the blog. :) I've been blogging for about 10 years now! Much peace could be ours if we did not occupy ourselves with what others say and do, for such things are of no concern to us. How can we long to remain in peace if we involve ourselves in other people's business, if we seek outside distractions, and if we are rarely, or only to a small degree, interiorly recollected? Blessed are they who keep to themselves, for they shall enjoy much peace. To Reflect: In what ways can I structure a prayer routine that will help me to focus on Jesus and the cross as I go about the other daily tasks of my work? In my adult years, peace is what I am striving for most during Advent, rather than the chaotic frenzy that is the Christmas shopping season in our secular world. Don't get me wrong - I love that everyone joins in the happiness of the Christmas season. But in terms of our faith, Advent should not be frenetic, even if we do have a lot of shopping to accomplish. 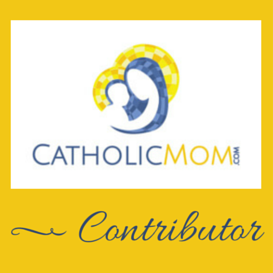 It should be quiet and serene, focused on the simple joy of the expectant parents. Our world may not be quiet, but we can be in the silence of our hearts. Even where noise reigns, we can carry the precious feelings of new hope in a special child on a cold winter's night. And in this way, our daily prayer during Advent is ever so important. Each morning, we can read from our Advent devotional of choice to carry the words in our hearts throughout our day, keeping Advent quiet and peaceful in our own way throughout the day. Focused on Jesus and what He did for us, but during Advent thinking specifically of His Incarnation. He set the book of nature before me and I saw that all the flowers he has created are lovely. The splendor of the rose and the whiteness of the lily do not rob the little violet of its scent nor the daily of its simple charm...It is just the same in the world of souls-which is the garden of Jesus. He has created the great saints who are like the lilies and the roses, but he has also created much lesser saints and they must be content to be the daisies or the violets which rejoice His eyes whenever he glances down. Perfection consists in doing His will, in being that which He wants us to be. To Reflect: Do I allow feelings of unworthiness to bring me to despair, to not continue to strive to improve myself? If so, in what way can I remind myself daily that God has chosen me and wants me for himself? Simplicity is big for us during Advent, yes? And St. Therese is our queen of being small and simple before the Lord! We are like small, but still beautiful flowers, to our God. Thinking of flowers during the cold of winter brings such a smile to my face. Our gardens will bloom again in the spring, that is another simple joy that can remind us of the message of Advent. Simply because we are small does not mean that we are unworthy of God's love, or that we in some way are failing at our lives. God has made us in His image, and wants us for Himself. We don't need to be a celebrity in order for this to happen, God wants everybody. Even the small things that we do during Advent to keep God in the forefront of our minds, and to keep the spirit of quiet anticipation alive in our hearts, are all incredibly pleasing to Him! We should take joy and serenity in this. Thank you so much for joining me for this exploration of the Catholic classics! This book is a self-paced journal designed to be consumed at your leisure, so feel free to join in at any time! I would love to hear your responses to the excerpts and reflection questions in the comments, so have at it! 😀 We'll be discussing chapters 3 and 4 next week, featuring St. Teresa of Avila and St. Francis de Sales! I really loved Chapter 2 because it was my first exposure to St. Therese and her "Little Way". It actually inspired me to check out "The Story of a Soul" from the library and I'm reading through that this Advent too. You picked out the perfect excerpt -- St. Therese's example of everyone being different flowers and the different roles that we all play really speaks to me. It's so easy to compare ourselves to others, but all that usually leads to is discouragement and jealousy. In my own life, I've really tried to keep this passage in mind when I'm tempted to feel sorry for myself or feeling jealous of someone else's position or success. Hi Kevin! I'm *so pleased* that you're reading Story of a Soul! I read that book many years ago, and it's one of the few works of spiritual nonfiction that I found approachable and easy to get through. ;-) Yes, her garden analogy really speaks to me too. She has a way of speaking to the heart, for sure!